AnonD-134749, 14 Jun 2013Expect general lag during gaming no lags on l9! AnonD-134749, 14 Jun 2013What "INNOVATION" DO YOU MEAN? Motorola made first cell phone, nokia made first pho... more1.LG first to introduce FULLY Capacitive screen Phone. 2. LG prada first to introduce capacitve and center button which apple copy then samsung. 3.They first introduced 2 mp cam front facing camera for video calling. 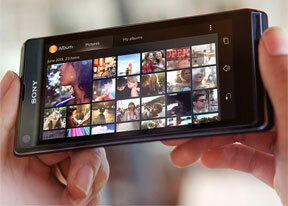 4.First to introduce Dual Core mobile in form Lg optimus 2x. 5.First to introduce Quad core LG OPTIMUS 4x . 8.First to introduce S4 quad core processor in OPtimus G.
11)First to introduce DUAL HD video recording on smartphone G Pro copied by samsung too. LG is also the only company to allow landscape orientation in the Android home screen. AnonD-134749, 14 Jun 2013What "INNOVATION" DO YOU MEAN? Motorola made first cell phone, nokia made first pho... moreWHAT??????????? ?fist capacitive display apple??????????????????????????????? its LG -PRADA Phone it was announced on December 12, 2006.. Anonymous, 13 Jun 2013Samsung, nokia ,and apple are just popular . but LG is way better when it comes to "I... moreWhat "INNOVATION" DO YOU MEAN? Motorola made first cell phone, nokia made first phone with inbuilt antene(no stick poking out of phone). First app store nokia, first flip phone Motorola , first touch phone Microsoft, first android HTC, fist capacitive display apple, first touch sensitive display nokia, first app adk apple. so what lg did? First copy? AnonD-154011, 13 Jun 2013In case of net browsing Samsung is good than all companies. Not Sony and LG is also good cheap... moreSamsung, nokia ,and apple are just popular . but LG is way better when it comes to "INNOVATIONS"
AnonD-133154, 13 Jun 2013 F.Y.I. LG also uses Qualcomm S4 Snapdragon KRAIT Processor on their smartphones. also LG I... moreIn case of net browsing Samsung is good than all companies. Not Sony and LG is also good cheaper than sony..Sony is good but not as good as Sony lovers always try to highlight... And Sony always charge fancy price for their phones..Nokia is facing problems with os otherwise Nokia is greatest manufacturer in the world than any..
gadget freak !! !, 11 Jun 2013sony gives us krait processor which much better than the cortex processor provided by Lg.... s... more F.Y.I. LG also uses Qualcomm S4 Snapdragon KRAIT Processor on their smartphones. also LG IS MORE FRIENDLY IN PRICE. lg also uses krait processor on their smartphones. gadget freak !! !, 11 Jun 2013sony gives us krait processor which much better than the cortex processor provided by Lg.... s... moreIn L9 is better graphic card. But... there is no custom roms for it (except cm10.1).Also rooting this phone is a little bit tricky. Battery is really great. Display is also good and bigger and very bright! But no video calling and no automatic brightness because there is no sensor for this. Some advantage is wifi direct and dlna,QSlide apps,NFC is there... I don't know about price of this two phones. If L9 is cheaper,go for it. which should i chose xperia P or xperia L??? its about the overall specs and features of a phone.